Bacabuche is designed to create an easy dressing experience for mom and baby. Simple. Modern. Playful. The brand embodies contemporary trends in a modern baby's wardrobe. 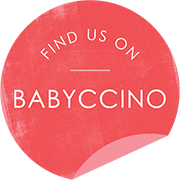 Bacabuche is made in the U.S.A. using a mix of natural and organic textiles for the baby's comfort and well-being.